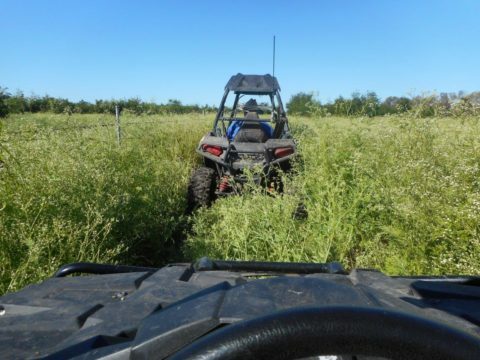 A new report released today by the Centre for Invasive Species Solutions has found that the agricultural cost of weeds is on average, $4.8 billion per year, or $13 million a day. The cost of managing weeds and associated production losses are collectively costing Australian farmers $4.8 billion per year or about $13 million per day. Overall, the cost of weeds has increased 20% since the last economic impact report undertaken in 2004, 15 years ago. On average 1 new weed naturalises in the environment every 18 days. This new economic impact assessment was led by Dr Ross McLeod from eSYS development Pty Ltd. The Centre for Invasive Species Solutions has developed a 10 year draft investment plan for a new National Weeds RD&E Plan.